Vernon has in excess of sixty five star reviews registered and regulated by Yell.com, plus an expansive archive of letters of thanks and press coverage spanning 50 years available to view at each roadshow or at Vernon's office. Please visit the client testimonial pages to read reviews. When selling personal heirlooms, Vernon is your direct link to a world wide database of private buyers/collectors, he has attracted over 50 years. He is able to source several interested parties for the relevant antique (however high or low in value) without charging buyers a premium (unlike auction houses, that have a fixed rate in the region of 25%) this in turn gives you the seller a far higher return and no VAT is chargeable on the overall sale, as Vernon acts as “agent for the seller". No other charges are incurred, only Vernon Ward’s fixed commission of 10%. Home or office visits are by appointment only. Please contact Vernon. Click to read "Conditions of Business". Avoid unneccessary auction charges on sales when you can be assured of excellent sale results from your own independent sales agent. Vernon Ward's commission is 10% on all sales, with no hidden charges. Click here to compare auction charges as opposed to Vernon Ward's commission charges. Vernon would like to bring to your attention a sample of his testimonials from clients past and present on his excellent valuations and sales service he provides. 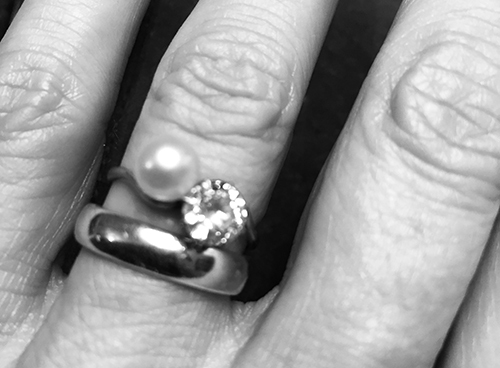 "Vernon was recommended to me by a good friend when we were looking to sell off some family jewellery and silver and heirlooms. He could not have been more helpful and provided an outstanding service from the first phone call to the close out of the transaction. Knowledgeable, likable, honest, and straightforward, Vernon's whole approach was very professional and undoubtedly saved me a very considerable sum in auction house fees and related charges. I would have absolutely no hesitation in using his services again and would strongly recommend him to anyone looking for a personal and very high quality service." 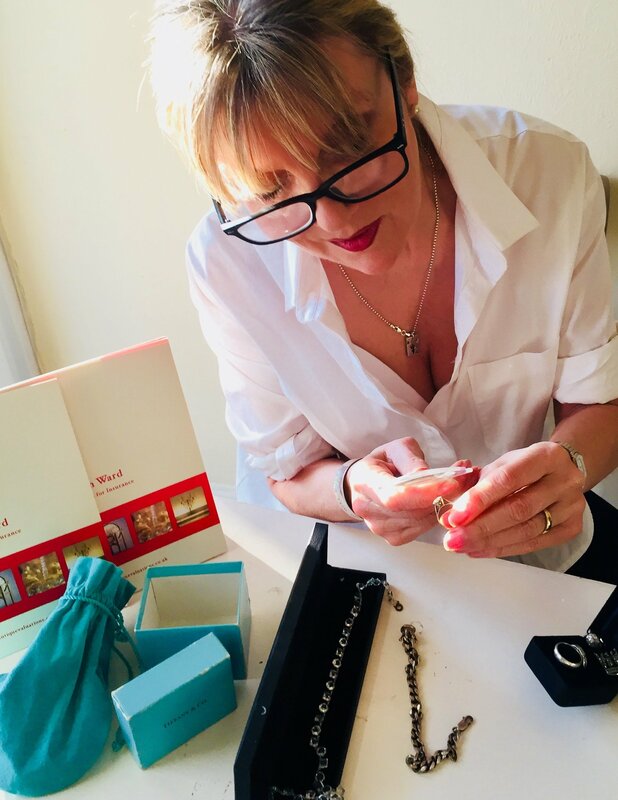 "We visited Vernon by appointment with a large assortment of unwanted diamond/gold vintage jewellery/modern gold jewellery, a Rolex watch and antique silverware, to instruct Vernon to act as our agent as we wanted a private sale. We received an excellent return, far higher than had we gone through other outlets. Vernon displayed excellent knowledge and kept us informed throughout the 10 day period. His standard of care and attention to detail was exceptional and solely through his efforts alone he achieved fine results on all. For reference, no other charges were incurred other than his low rate of commission. Many thanks for all your hard work on our behalf. 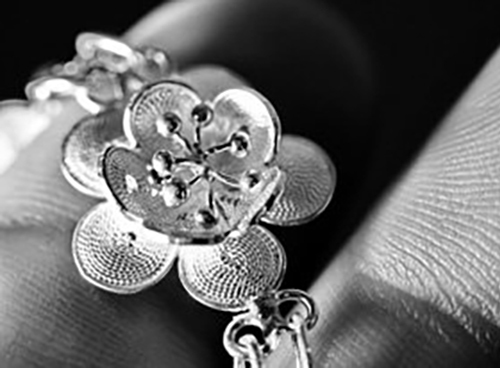 In our opinion he is a leading antique jewellery and silver expert in England. Exceptional service and confidentiality. We would recommend Vernon without hesitation." We recently needed a professional to research, value and sell our collection of diamond jewellery and gold coins. From the Internet, we were very impressed by the reviews on Vernon Ward. After visiting us, we instructed him to act as our independent agent. He proved to be highly professional, with excellent business acumen and expertise. We were delighted with the results and, true to his word, he located private buyers. We benefited financially by using his services. We would not hesitate to recommend him." "Following a recommendation I decided to visit Vernon at his road show at the half moon pub in Plumpton. 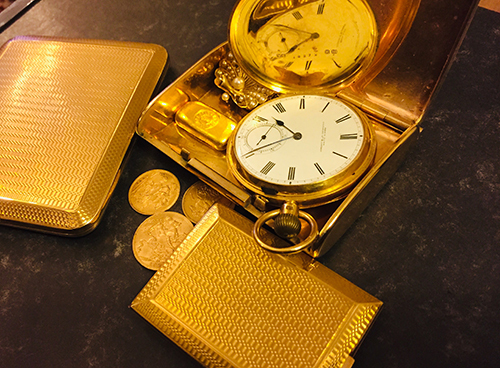 I took a small collection of valuable antiques including jewellery. Having had previous bad experiences with other valuers and auction houses I could not recommend Vernon more highly. He was extremely professional and knowledgeable. His manner was both charming and friendly and I would always use him again should I need any further valuations." "We have used Vernon-Ward on a number of occasions to assist clients with the appraisal and sale of valuable antiquities and complete house sales for UK and overseas vendors. We have found Vernon-Ward to be a polite professional man who delivers what he promises." "Following my two previous reviews commending Vernon in researching my painting , I am delighted to announce that it is, indeed, an original oil painting by JMW Turner. A half-page article was published in The Times on Wednesday 6th September 2017 (page 17) and the article can also be found online. Vernon will be instrumental in securing a private sale and he has done remarkably well in arranging various meetings and safe storage of the painting pending sale. It's refreshing to meet an honest antiques and art expert who has liaised with me for over a year and has kept faith in my belief in the painting's authenticity." VERNON WARD ANTIQUE ROADSHOWS established 1990 and registered in England under No. 2215508 with the National Business Register LLP, Vernon has conducted these highly successful roadshows for 29 years, raising thousands of pounds for numerous charities, and is available to offer his services and expertise for charitable fundraising events on request. Vernon Ward's services are regularly used by the general public, estate agents, the legal profession and estate sales following probate throughout UK and abroad. The excellent 5 star reviews on this website, along with many letters of thanks spanning 50 years are self explanatory. Vernon works tirelessly to locate private buyers and collectors keeping you informed throughout the negotiating period, within the 10 day period by 'contract of sale' (terms and conditions apply). Vernon aims to achieve the maximum value in the current market on all manor of fine art, antiques, jewellery, chattels etc. (click here to view the list of the many antiques successfully sold by Vernon Ward). 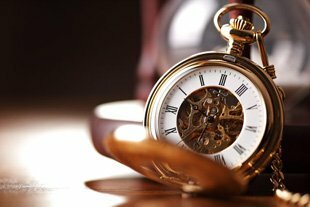 Before consigning your goods to auction it would be in your interest to make Vernon Ward your first point of call when selling antiques, jewellery, heirlooms etc. His reputation and confidentiality to you, the client is paramount, he prides himself on an old fashioned service. In some cases antiques, jewellery, works of art etc. may require researching, this service is provided, free of charge. **Please note: private buyers and collectors are, as the name implies, private. They are distrustful of the internet as a place to hold information about their valuable collections. They do not want people approaching them for unsolicited requests. Vernon Ward, with his 50 years in the fine art and antiques world, is your direct link to these private buyers and collectors worldwide. Vernon offers free valuations and when items are consigned for sale, he is happy to provide a pick up and collection service on request. In the event of any item(s) remaining unsold, then the item(s) will be returned to the vendor at no extra charge. Open five days a week by appointment only.